Your approach to offshore planning and investing will have a significant impact on the measure of success that is achieved with your portfolio. There’s a good chance that you already grasp the concept that choosing to balance your portfolio with different types of holdings is a good idea. After all, a variety of assets means that even when some of those holdings are undergoing some sort of a slump, others will be performing very well and effectively allowing you to still make some gains overall. A strategy that you may not have employed yet is diversification of your assets based on maturation dates. In other words, you may not be thinking of purchasing some assets for the express purpose of earning a certain amount of return and then selling them once those gains are received. At the same time, you may also not be intentionally purchasing certain assets with an eye toward holding on to them for a couple of decades. In fact, both these strategies should be part of your ongoing effort to increase your offshore financial wealth. With short-term investments, the general idea is to buy low and sell high. This will involve identifying assets that are currently being offered below market price for some reason. Perhaps certain outside factors have temporarily depressed the demand for an asset. If market conditions indicate that those factors will begin to weaken within a reasonable amount of time, you may want to acquire the asset while the purchase price is still very low. From there, hold it during the recovery period and enjoy the returns that you earn in the interim. Just as the asset is projected to crest and then settle at a certain price level, you can sell it for a profit and turn your attention to other holdings that would be worth holding on to for six months to a year. Keep in mind with short-term offshore assets, you will want to look for something that will generate a reasonable amount of returns in anywhere from three months to one calendar year. Make sure there will be a demand for the asset when you are ready to sell. Even if you earned dividends between the point of purchase and the point of sale, you will want to get a sales price that is well above your original purchase price. The proceeds from these short-term investments can serve as the seed money for other types of investments. For example, if you happen to earn a tidy return from a stock that you bought low and sold high seven months later, there is no reason you can’t invest that money in another stock or possibly use it to acquire a more permanent holding such as a retirement home. Along with offshore assets that you hold for a short time and then sell at a profit, it is also a good idea to acquire some holdings that will generate steady returns for a number of years. Assets of this type help to provide a solid foundation for your investment portfolio and create a reasonable level of stability. While the returns may be more incremental, the right combination of holdings can also offer some benefits that allow you to take advantage of current tax laws and keep more of your hard-earned money in your pocket. 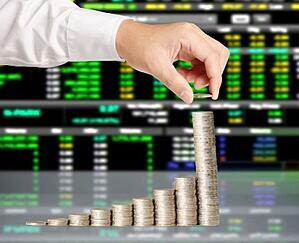 One of the major benefits of offshore investing is tax mitigation. Simply put, the structure of those investments can often allow you to utilize current tax laws to keep your obligation as low as possible. The inclusion of these holdings will allow you to fully comply with domestic tax regulations and still claim a wide range of exemptions. At the same time, the best long-term holdings will also carry very little in the way of tax debt in the country where they are based. As a result, you will pay less in taxes and still see your overall wealth increase from one year to the next. While balancing your portfolio in terms of both diversifying assets and considering how long you will hold each asset can be time consuming, the effort will pay off in a big way. Take a look at your portfolio as it stands today and determine just how much diversity is present. Chances are that making a few small changes will lead to a more secure position while also helping to keep your tax obligation at a minimum.